It’s been 12 years since the concept of Sandy Grove Middle School originated. Since then, SfL+a Architects and Firstfloor Energy Positive have received lots of positive feedback from clients, future educators, students, community members, and more. Recently, a consultant and his intern visited Sandy Grove and gave us their take on the school, located in Hoke County. The consultant says, “the entire complex was designed not just to reduce costs but to foster an interest in environmentalism that was seamlessly and creatively integrated into the curriculum. From the wind-powered decorative flowers outside to the interactive dashboard available for educational use, it’s immersing the next generation in “green” culture while educating them with it. They had a blast testing out the interactive dashboard at Sandy Grove he tells us. 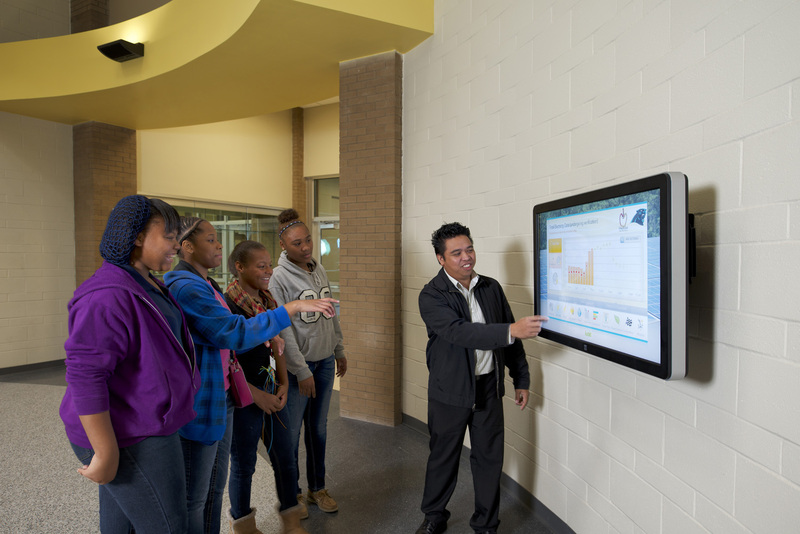 The dashboard, which is available for students in every classroom, allows them to see conservation efforts like how much energy the building is using, how much it’s consuming, and how much water the building is using so there are tremendous opportunities for curriculum integration. The more students are engaged, the more they are excited to learn. “There is an intangible element to the ROI there. It is underemphasized and, in my eyes, hugely significant. International rankings in science and math are undeniably abysmal. It’s not just a lack of educational resources, it’s a lack of engagement,” he explains. Sandy Grove Middle School planted the seed, a blueprint, of how education and environmental conservation can work together to foster student engagement and technological innovation. Today 10 more energy positive schools like Sandy Grove have been built, and we are just getting started.